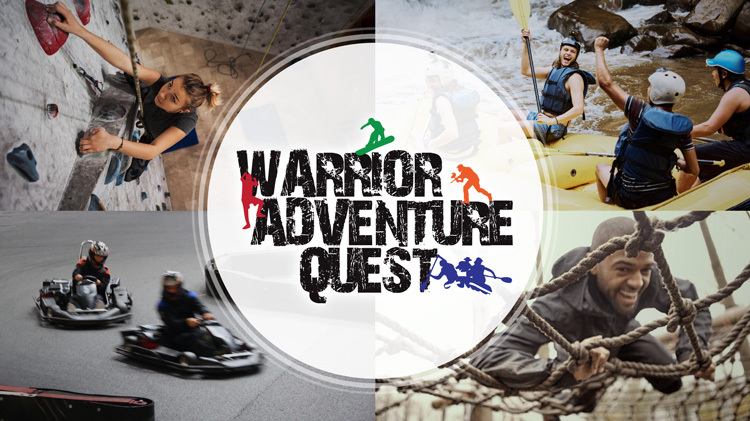 Warrior Adventure Quest (WAQ) is a Soldier reintegration program which combines a high adrenaline activity with resilience skills training. WAQ is endorsed and supported by the Department of the Army. It is executed as part of a cooperative relationship between Family, Morale Welfare and Recreation (FMWR) and the Army Medical Department (AMEDD). WAQ activities may be coordinated through the MWR's Outdoor Recreation (ODR) facilities and staff. WAQ mitigates the negative impact of high-risk behaviors common among Soldiers who have recently returned from deployments. The high adventure activities are tied to resilience training which enhance unit readiness by building unit cohesion.